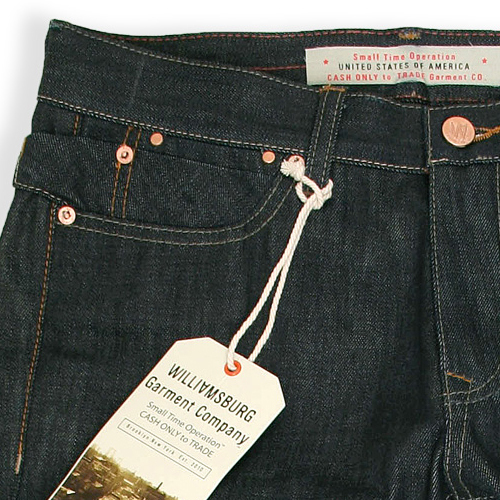 Custom Size: South 1st Street 14 oz. This is a SPECIAL PRE-ORDER product. With a $50 deposit, you can place an order for custom sizes not normally available at Sugarcube or on-line at Sugarcube Select™. Custom orders can take 30 to 90 days for delivery depending on WGC factory direct production schedule. When the item is in stock and ready to ship, we will contact you to pay the balance before shipping or store pick-up. The total price of this item, not including shipping is $118. -Special orders are final sale. Deposits are non-refundable. 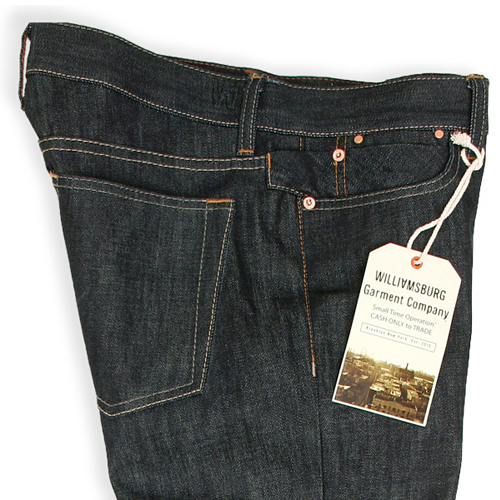 If there is a size that you need that is not in WGC’s planned production, send us your size request by email and we will let you know if WGC can accommodate your request. 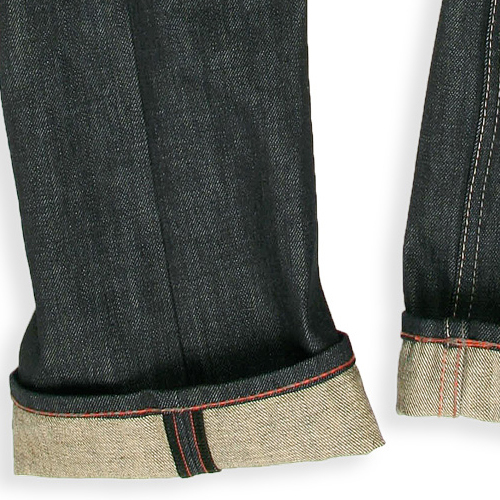 This new BASIC FIT Rigid jean is made with 14 oz 3×1 RHT denim. 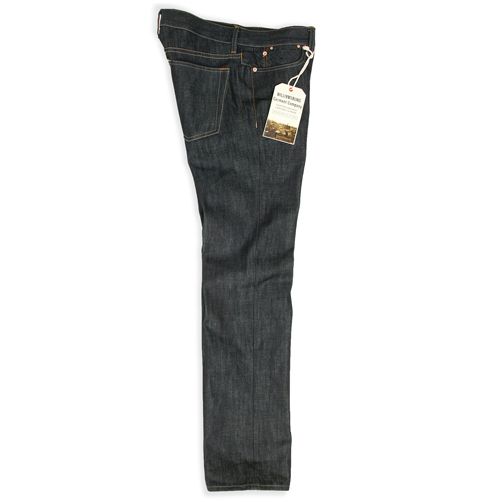 Very comfortable and straight, the perfect look in an easy-going jean. 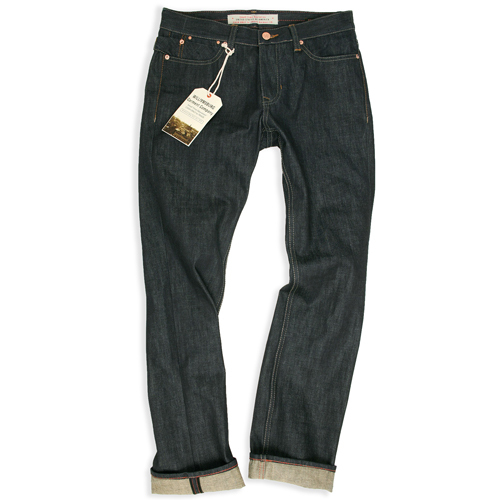 These Jeans are RAW, unwashed with stiff hand feel. 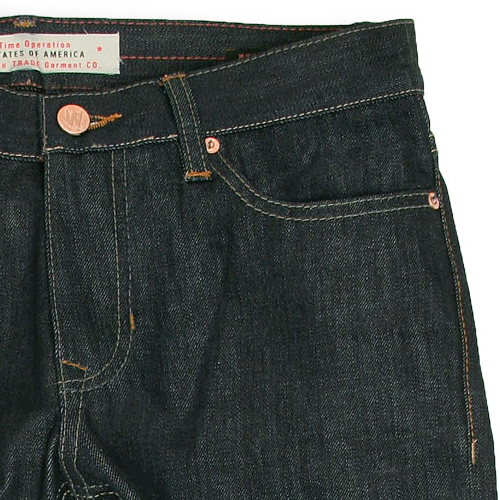 If you choose to wash the jeans, expect about 5% shrinkage. 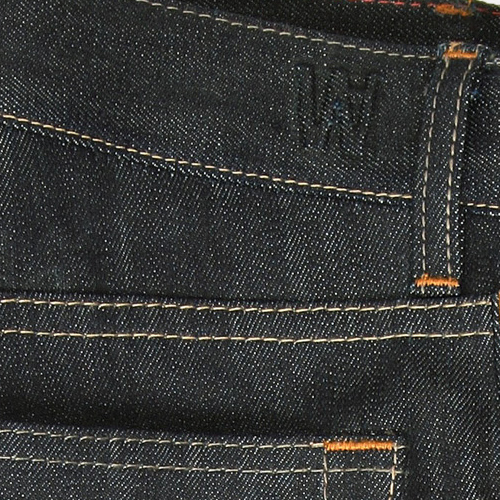 However, Raw Denim is best when worn for a long period of time before washing. This way you can form your own natural whiskers, wrinkles and unique worn areas. 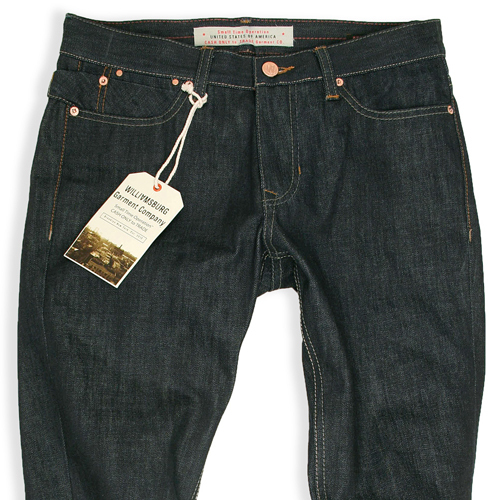 If you prefer a softer hand feel, simply give the jeans a quick hand wash to keep them dark and hang dry before wearing. First to offer nationally. Exclusive to the Philadelphia Region.